I think cherry and lime is one of my favorite flavor combinations. Have you ever had a cherry limeade from Sonic? They are so delicious! They are a classic flavor pair that works extremely well together. 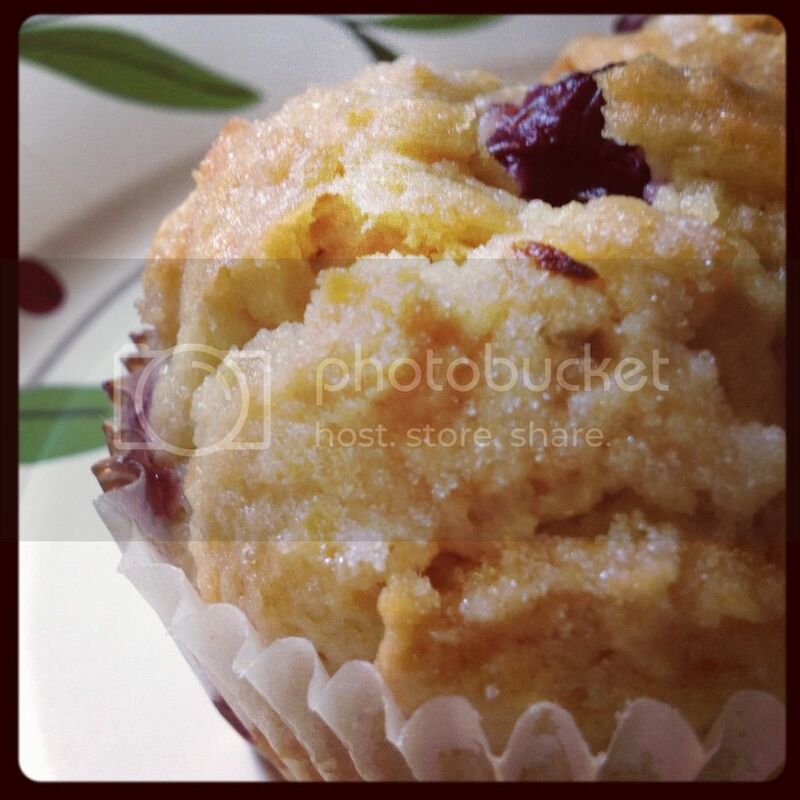 Today, I bring you a recipe for some scrumptious Cherry Lime Muffins, made with products sent to me from NuNaturals to review. NuNaturals strives to make sugar-free taste yummy by creating products made with stevia, an all natural, plant-based sweetener. They offer a huge selection of products. Quite frankly, I think they are one of the best (if not the best) producer of stevia-based products out there. Just browse araound their website and you can see that they offer supplements, baking blends, liquid stevia, products to keep your blood sugar in check, and much more. My personal favorite is the wide selection of liquid stevia. They are very versatile and can be used in pretty much anything. That's a crazy amount of stuff, right?! I thought everyhing tasted good and did what it was supposed to do. The MoreFiber Stevia Baking Blend can be substituted 1:1 for sugar in a recipe. I used mine to make muffins (see the recipe below) and only substitited a little under half of the sugar with the baking blend. I thought it tasted good, but I definitely would not have replaced the sugar 1:1, or it would've had too strong a stevia taste. All of the Pure Liquid stevias I received worked well in a variety of recipes. I made a chocolate crust using the cocoa bean extract and clear stevia and found the flavor to be delicious and naturally sweet. I also really enjoyed the flavored liquid stevias (orange and vanilla) because they re so versatile and provide sweet flavor without calories or sugar. The stevia packets are very convenient for when you want to take your stevia with you. You can toss them right in your purse and sprinkle your stevia on anything you want when out with friends! And the quick dissolve tablets - these threw me off a bit. At first, I wasn't sure about it. Why can't you just sprinkle some powdered stevia in your drink and call it a day? Well, I guess the idea is that these tablets are easier to dissolve in liquids, especially cold liquids. Try these tablets when making lemonade or if you want to sweeten your tea. 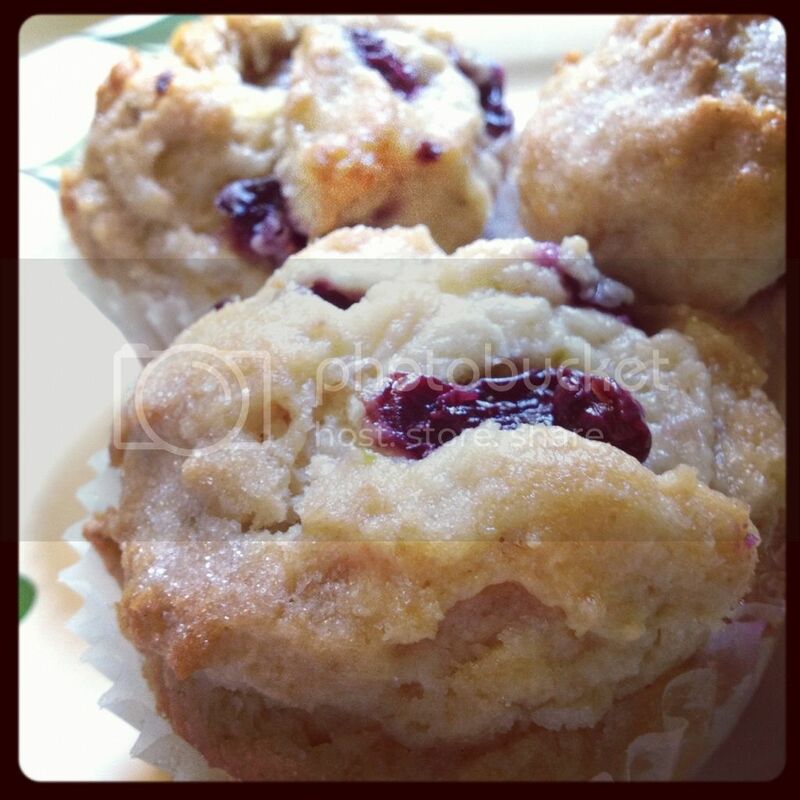 I made Cherry Lime Muffins with the MoreFiber Stevia Baking Blend. 1. Preheat the oven to 375 degrees. Spray a cupcake pan/muffin pan with nonstick spray and set aside. In a large bowl, sift together flour, baking powder, and salt; set aside. 2. In the bowl of an electric mixer fitted with the paddle attachment, cream butter, MoreFiber Stevia Baking Blend and sugar on medium speed until fluffy, about 3 minutes. Add egg, egg yolks, and vanilla; mix until well combined. Reduce speed to low; alternate adding reserved flour mixture and milk to mixer, beginning and ending with flour. Remove bowl from mixer; gently fold in cherries and lime zest by hand. Divide batter among muffin tins; sprinkle generously with sugar. Bake until light golden, about 45 minutes for large muffins, about 30 minutes for small muffins. Cool in pan 15 minutes. Remove from pan; transfer to wire rack, and let cool completely. I love this company, and I know you will too when you try their products! 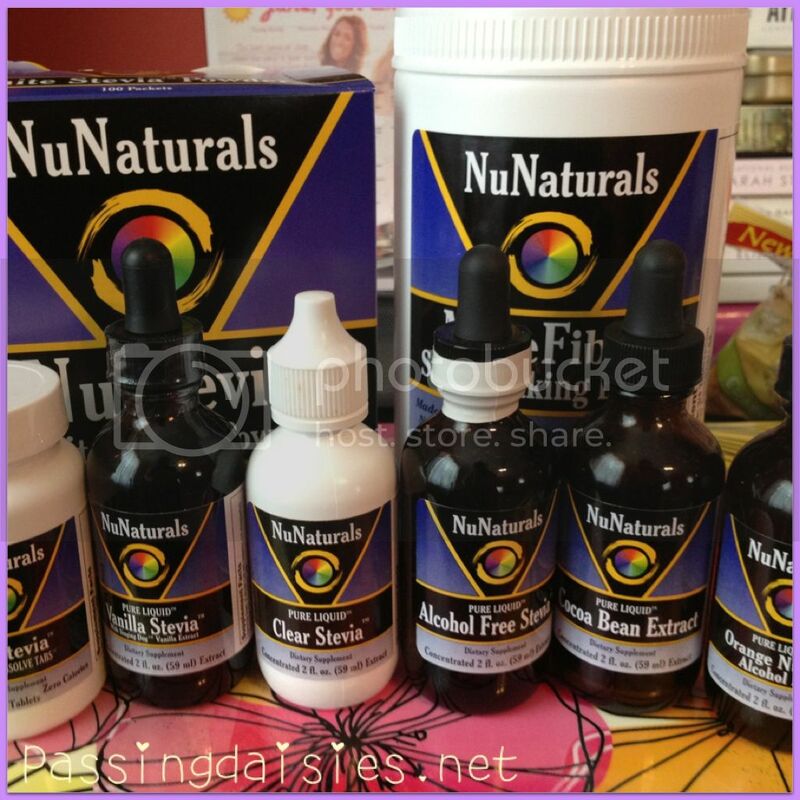 NuNaturals has seriously changed my life! My stomach is no longer bloated from sweeteners and my food tastes better!